I caught myself internally exclaiming, “Oh, for goodness sake!” — finding it hard to believe how any place could possibly be this unwaveringly, disparately beautiful. New Zealand, to me, had always been an enigmatic isle below Australia that no one seemed to know a lot about. I’ve admired The Hobbit and The Lord of the Rings movies, watched Kiwi rugby and cricket matches and scrolled through numerous travel articles recommending a holiday there. But nothing could’ve possibly prepared me for this. Apparently it’s not enough that the land boasts capacious forests, volcanoes and snow-capped highlands; because the gods decided that it also needed to have sunny coasts, cerulean waters, rolling green hills and generous pastures. Understandably, I found that the locals are pretty proud of the fact that at one moment you could be sitting on a white sandy beach, looking out at icy mountaintops (I can confirm that it’s true), and scuba diving or hiking the next, and — a brief drive later — skiing or snowboarding. Also, I was surprised to see that wherever I went, there weren’t really many people around — probably because New Zealand has a population of 4 million…and about 40 million sheep. It took less than a day for Wellington to sweep me off my feet — quite literally, at one point. Considering it was named ‘the coolest little capital in the world’ by Lonely Planet, it’s not surprising that the people there are young, eclectic, eccentric and great fun, while the food and drinks scene is truly impressive. I quickly found my favourite thing about the place: a booming cafe culture. 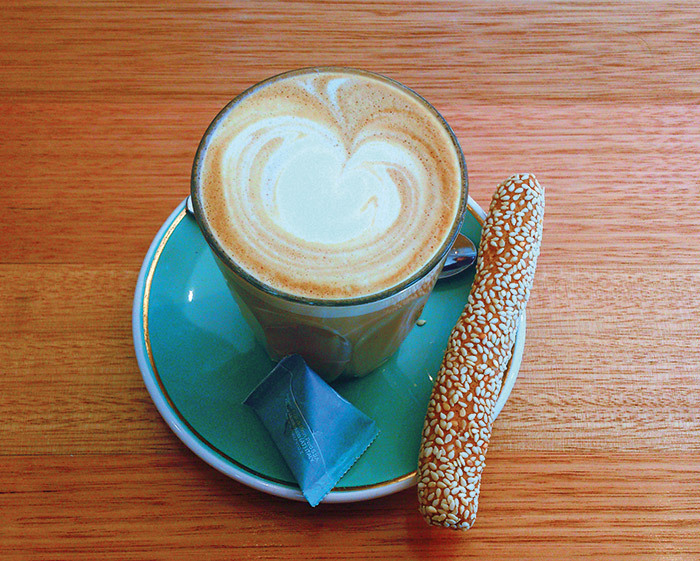 The locals really know their coffee, and a fantastic standard is met around the capital. As we strolled past one of the mere two desolate Starbucks outlets in the entire city, my host snickered, remarking that no true coffee lover should ever walk through those doorways when there are quality roasters around every corner. It didn’t take much to convince me to go on a walking tour of said roasters and as we hopped from Floriditas to Red Rabbit Coffee Co. to Mojo, I discovered another new favourite — the flat white. Known as the ‘quintessential Kiwi coffee’, the velvet-smooth concoction comprises two ristretto shots (a more concentrated yet sweeter espresso made with barely any water), full-fat milk that has been heated but not steamed, and a bit of milk art on top. One brewer explained it by emphasising the ‘flat’ in the name, meaning it has no pretentious foam. I spent the rest of the journey around New Zealand like a true local, sipping on a flat white everywhere we went and, while writing this back home in Mumbai, there’s no prize for guessing what I’m drinking! The second morning was spent exploring Maori history and culture at Te Papa, the country’s national museum and art gallery, followed by a walk along the Wellington Waterfront, which helped me understand why the city is lovingly nicknamed Windy Welly. For a bit of perspective, I was informed (while struggling to walk in a straight line and keep my hair in place) that Chicago has an average wind velocity of about 17 kilometres per hour while Wellington’s gale-force winds top that at 30 kilometres per hour. You can forget about carrying an umbrella anywhere in the capital. The tough walk was certainly worth it, though, because I was rewarded at the almost-hidden but worth-tracking-down Gelissimo Gelateria. From passion fruit, blue cheese and chilli to turmeric, Alphonso mango and even durian, every flavour I tasted was spot on, and all credit goes to Graham Joe, the mastermind and owner. My sweet tooth was pampered even more as I was whisked away to the Wellington Chocolate Factory — New Zealand’s first bean-to-bar chocolatier that uses 100-per-cent organic, fair trade ingredients. A detailed tour of the factory and product tasting later, I was walking out with the most scrumptious hot chocolate and a bagful of unique chocolate bar varieties. Best day ever. Even though I didn’t have enough time to make it to the Hobbiton Movie Set in the Waikato region, I did visit Wellywood — home to the country’s film industry, Weta Workshop and Peter Jackson — and had a lovely time at the Weta Cave as well as the spots where some of the very first scenes for The Lord of the Rings trilogy was shot. Mount Victoria — a lookout point with 360-degree views of the city and the harbour — is worth the short hike, especially on a clear day like the one I got to experience with a group of movie buffs from all over the world. Our witty guide took us to a number of areas within the forest below, quizzing us about scenes shot there, most of which we recognised easily. We got a lot of extra inside information due to the fact that he was part of the production team for the first movie, and even got to recreate a scene with little action figures that a girl from Japan had in her backpack! 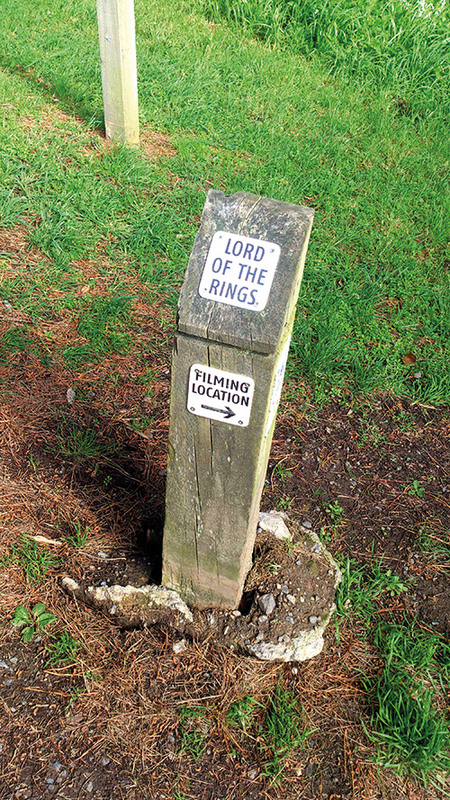 A cool thing about New Zealand is that everyone knows about the movies’ filming locations, so if you can’t book a tour of the sites, just ask a local to point these out to you. Let me first say that, despite being a travel and experience junkie, I’ve only ever envisioned myself living in India for the rest of my life…until I found Nelson. It took just an easy half-an-hour flight from Wellington, aboard a cute aircraft with the most hilarious Men in Black-inspired musical safety video (featuring the New Zealand All Blacks rugby team), for me to find myself above the seemingly-Photoshopped region. 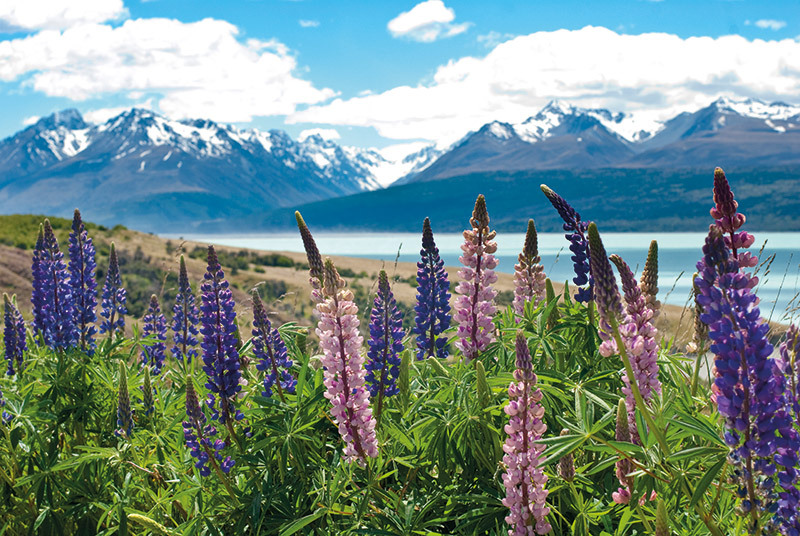 Known for its excellent quality of life, the north-west part of the South Island is the sunniest region in the country. 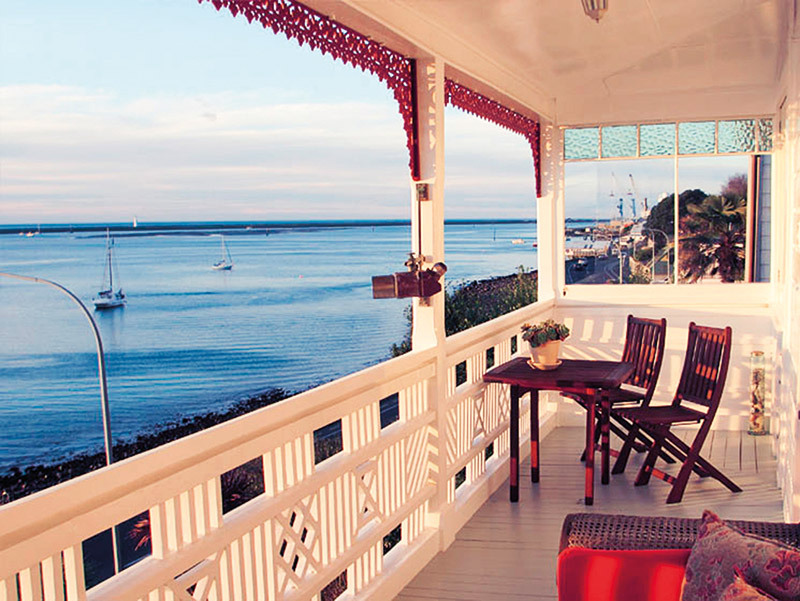 As I looked out at the glistening Tasman Bay from the balcony adjoining my upper-storey room at Wakefield Quay House on the waterfront, I tried to wrap my head around the sudden feeling of belonging. The bed and breakfast felt like home, thanks to Johnny and Woodi, a convivial couple who bought the then-rundown 1905 heritage villa in 1990 and spent years turning it into the inviting abode it is today. After drinks and sunset-watching on the patio, during which a fresh-from-the-sea lobster was delivered to Johnny by a friend who had just docked at the pier, we headed to the Boatshed Cafe down the road. As the name suggests, the favourite eatery of The Hobbit cast and crew is located in a vintage boat shed, which hangs over the water. During a lovely conversation over delicious seafood, I found out that the cast and crew for The Hobbit: An Unexpected Journey stayed at Wakefield Quay House too; needless to say, I was pumped. Well-rested and raring to go, we embarked the next morning on a long but absolutely stunning drive to the Moutere, which is the rural region or countryside bordered by the Mount Arthur range and known for its craftsmen, art galleries and creativity in general. We passed idyllic villages, hills and sheep while marvelling at the skies (which looked more animated than real) before pulling in at the driveway of Mahana, formerly known as Woollaston Estates — an organic vineyard and winery. Designed by American architect Larry Ferar, it is built entirely of concrete and all the levels are covered with a ‘living earth’ roof of native tussock and shrubs. 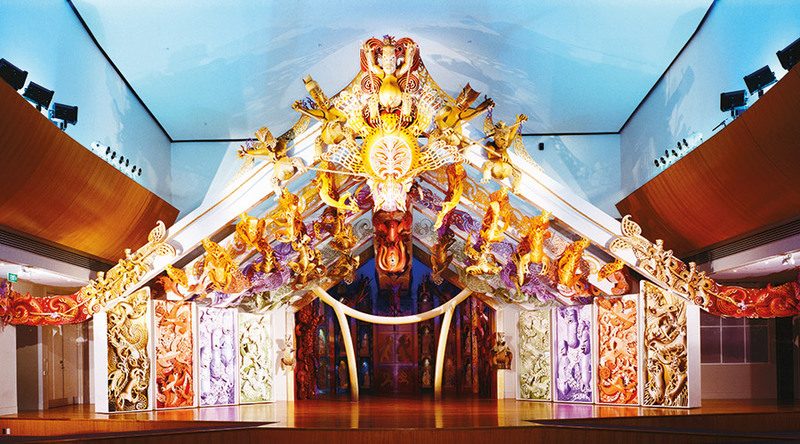 Works of art curated from around the world can be found all over the property; unsurprising, since it belonged to Sir Mountford Tosswill Woollaston — a 20th-century painter said to be one of the founders of modern art in New Zealand. Sampling the wines at Mahana Cellar Door and indulging at Mahana Kitchen, surrounded by murals and extensive views of the vineyards backed by the Southern Alps, was an indescribable experience. 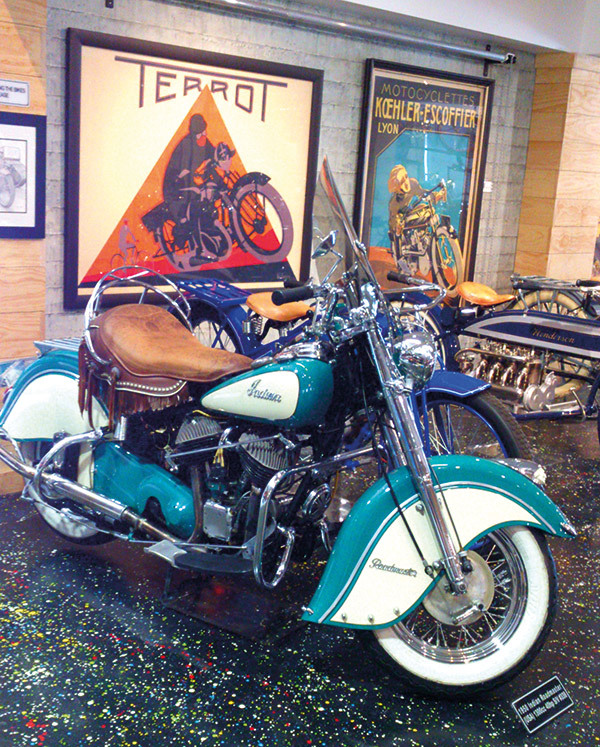 I was fortunate enough to also check out Nelson’s extraordinary World of WearableArt & Classic Cars Museum, the New Zealand Classic Motorcyles Museum and, to my delight, the boutique and store of Jens Hansen — maker of the renowned One Ring for all the J. R. R. Tolkien films. 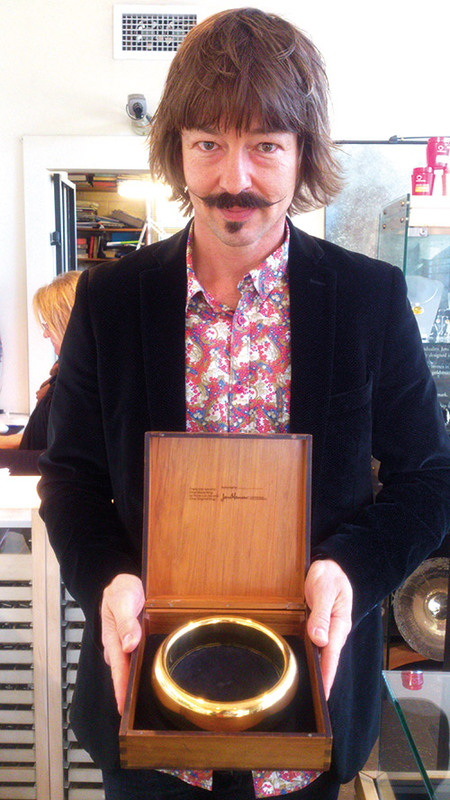 His son, Halfdan Hansen, showed us around the workshop and even allowed us to wear the ring from the movies. On my last day there, while exploring the town market and the city’s historical streetscapes, it dawned on me that Nelson could be best described as a way of life. The people take pride in and encourage farming, crafts and fishing communities. (“If we don’t support our local small businesses, they’ll die out and it’ll be our loss,” Woodi told me.) The region pulsates with an effervescent art and year-round music scene, outdoor activity options, green spaces and an incredible sense of community. If there were a perfect place to raise a family, it would be Nelson. Plus, it’s the country’s craft beer brewing capital and is known for producing some of the most delicious aromatic wines. 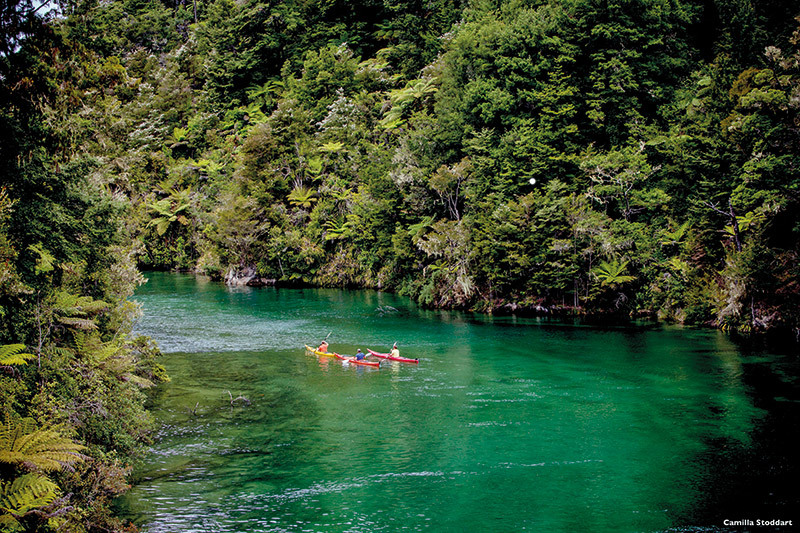 It ties in perfectly with what I witnessed throughout my trip — what was described to me as the ‘Kiwi can do’ approach. Be it the Wellington Chocolate Factory, Gelissimo Gelateria, the cheery man who sold uniquely-flavoured peanut butter out of a secret streetside window, the Nelson winemakers and entrepreneurs or the many artists I met, most stories of successful New Zealanders began with them not being satisfied with what was in the market and therefore taking it upon themselves to create something of quality. The too-good-to-be-true natural offerings certainly help with this constant quest for excellence, but it’s the people and their passion which made me want to see and feel everything differently. Just watch a video of a Maori haka and you’ll know what I mean. My days in New Zealand turned me into a more willing person; I would get excited about the littlest of things, jumped with both feet into experiences — literally and figuratively — and collected amazing snapshots, both mental and physical. What I found in the process is that although getting wet is not always comfortable, it may only be from the middle of a gushing river that you find the perfect angle. Sitting pretty on the waterfront, it boasts an unbelievably large collection of contemporary New Zealand art all over its hallways, rooms and restaurants. I felt like I was sleeping in a gallery, spoilt with indulgent food and fantastic service. 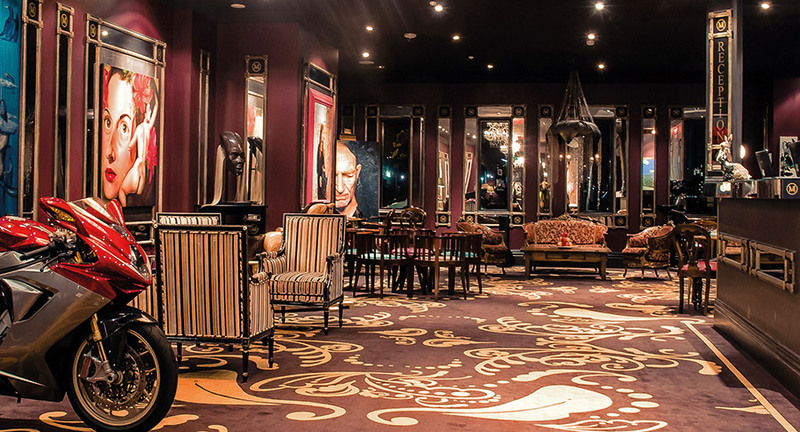 The hotel echoes the city’s quaintness and cheekiness while emphasising its successful art scene. Its award-winning French restaurant, Hippopotamus, has not only perfected the art of fine dining but also that of high tea. French pastry chef, David Cadoret, creates a gorgeous assortment of handcrafted sweet and savoury amuse-bouches, mini-sandwiches and pastries, which are served either with a selection of the hotel’s range of gourmet Dilmah teas, espressos or champagnes. Fact file: The four-storey hotel, built in the 1980s and originally located 120 metres away from its current location, had been marked for demolition in 1993 to make way for Te Papa museum. It was saved by its former owner, Chris Parkin, who moved the entire structure across the road over two weekends, on purpose-built railway tracks! 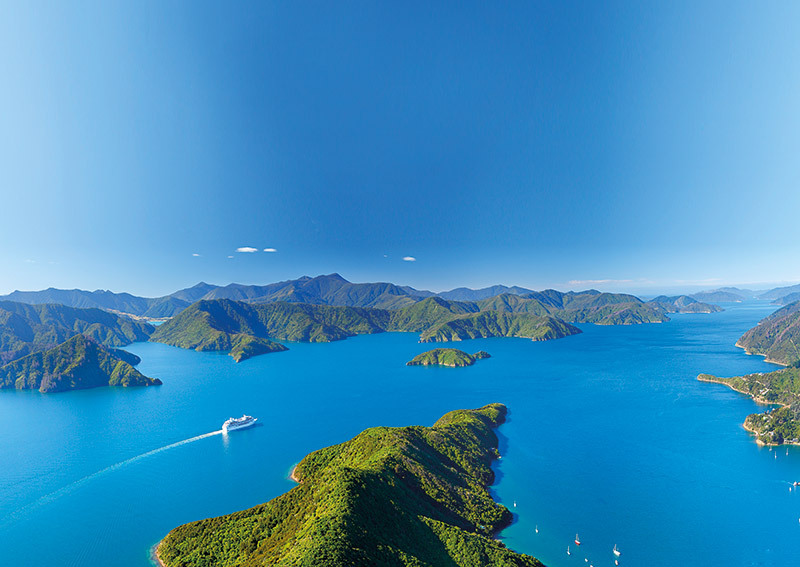 Famed for its resplendently golden sand, sparkling water and awe-inspiring wildlife, this part of New Zealand was supposedly the first to be ‘discovered’ by Europeans; more specifically by Abel Tasman, in 1642…more than a century before James Cook’s arrival. Still untouched and pristine, its coastal setting provided me with one of the most unique hikes or treks I’ve ever been on. 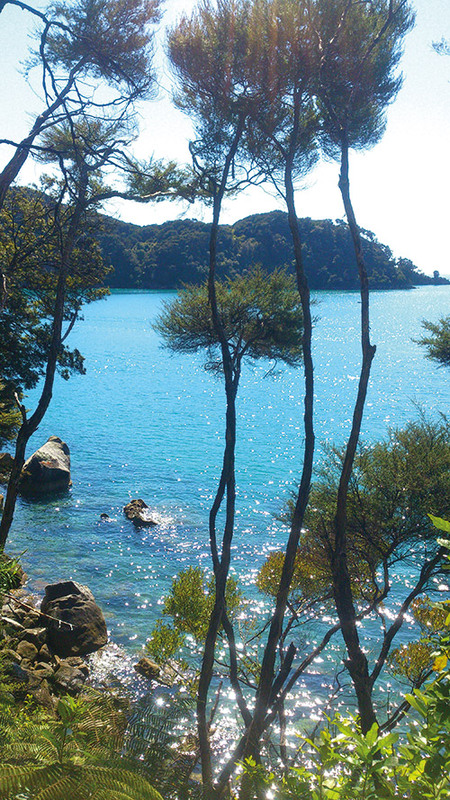 After navigating through verdure, crossing rope bridges, climbing rocks to reach whimsical vantage points, eating lunch on a quiet beach and then heading back on a boat, I vowed to return and complete the Abel Tasman Coastal Track which takes three to five days to cover the whole national park. Alternatively, short sea kayaking tours are available and huts, camping grounds and private lodges provide accommodation for multi-day treks.